Truyện Kiều (The Tale of Kiều), written by Nguyễn Du (1766-1820) is regarded as the most significant poem in Vietnamese literature. It was composed in lục-bát (6/8) stanzas and its original title in Vietnamese is Ðoạn Trường Tân Thanh (A New Cry From a Broken Heart). However, it is better known as Truyện Kiều or Kim Văn Kiều. The story is based on a seventeenth century Ming Chinese novel which Nguyễn Du discovered while he was on an ambassadorial mission to China in 1813. The plot portrays the chaotic political and social circumstances of Vietnam in the eighteenth century arising from political infighting. The theme of the story is filial piety, one of the main tenets of Confucianism. It recounts the life and trials of a beautiful and talented young woman who sacrificed her happiness to save her disgraced family. She had to go through many sufferings, such as being lured into prostitution, being wed to a man who was already married, and being thrown out of a Buddhist sanctuary before she was finally reunited with her first love. However, this reunion did not bring earthly joy for Kiều, who chose to devote her life to serving her family as filial piety demanded. Literature critics have argued that the theme of the story is an allegory of Nguyễn Du’s guilt and conflict of interest in agreeing to work for the new regime (the Nguyễn dynasty, 1802-1945) which had been indirectly involved in the overthrow of his former master. This behaviour was unacceptable in traditional Confucian Vietnamese society as it was tantamount to betraying filial piety. Hence the theme of the story was a poignant reminder for Nguyễn Du, who was born into a high profile mandarin family, and whose father served as a high ranking minister under the Le dynasty. The copy of the Truyện Kiều manuscript held at the British Library (reference number Or.14844) was completed around 1894. It is written in Chữ Nôm (Sino-Vietnamese characters). Each page is beautifully illustrated with scenes from the story. 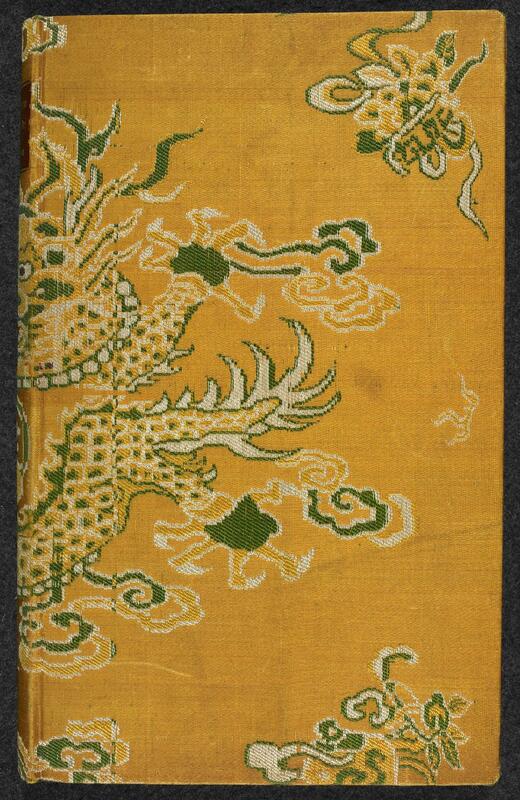 It is bound in a royal yellow silk cover with dragon patterns. Nguyễn Quang Tuấn, an independent Vietnamese scholar who inspected the manuscript, is of the opinion that this manuscript bears some royal significance because the dragon on the cover has five claws, which was normally reserved for imperial use only. 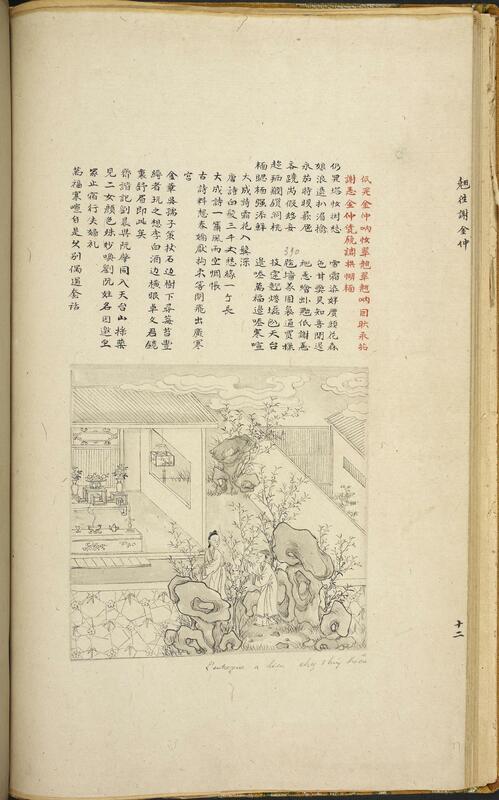 Another significant feature of this manuscript is that it bears annotations by Paul Pelliot (1898-1945), the renowned French Sinologist, who bought the manuscript in 1929. A digital copy of the book is available online .